If your mailbox is constantly crammed with unwanted sales promotions and catalogs, you can have your name removed from the mailing lists that generated all of the literature by contacting the Direct Marketing Association (DMA). You may access information from the DMA on their website, by email or by telephone at (212)768-7277. You should also note that the DMA may charge you for this service. Be sure to understand what you will be required to pay and what you receive for your payment. The service will notify marketers affiliated with this consumer service program to delete your name and address from its lists. Since not all direct mail companies are affiliated with this service, you may need to write directly to the particular company and ask that your name be removed from their list. Also ask that your name be removed from any lists rented or sold to other users. According to Washington state and federal laws, goods mailed without authorization are gifts. Unless otherwise agreed, such as with some book and record clubs, when you receive unsolicited goods through the mail, you have the right to accept delivery of such goods as gifts and are not obligated to return the goods to the sender nor to pay for them. Under Washington law, goods or services are not considered to have been requested if a person fails to respond to an invitation to purchase the goods or services and the goods or services are provided notwithstanding. Before you take any action, call the sender of the goods to verify the mistake. Often someone else in the house ordered the merchandise or it may have been sent as a gift. If you receive unsolicited pornographic materials in the mail, you can go to your local post office to have the mail stopped. If possible, take the objectionable material with you to the post office. Even if there is a previous business relationship, if a recipient sends a written or fax message to the sender clearly indicating that they do not want fax messages from them, the sender cannot legally send any more faxes. Washington’s law provides for $500 in damages if a consumer files and wins a private lawsuit. Consumers have successfully filed such claims in Small Claims Court; however, you may be precluded from filing a Small Claims action locally against an out-of-state firm. If you would like information on how to file a private lawsuit in Small Claims Court, you can visit this part of our website. Additionally, you may file a complaint with the Federal Communications Commission. Electronic mail provides a variety of problems for the online consumer. In addition to a variety of chain letters and pyramid schemes, many other consumer problems occur online. Unsolicited email is a very common problem. There are steps you can take to keep such mail to a minimum. 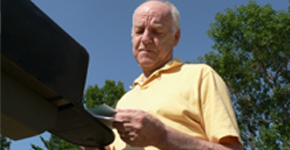 Your system administrator may be able to give you information on how to screen out nuisance mail. Your internet postmaster, if she or he receives enough complaints from members of a service, may decide to limit access for those who abuse the system. Finally, you may file a complaint with the Federal Trade Commission.